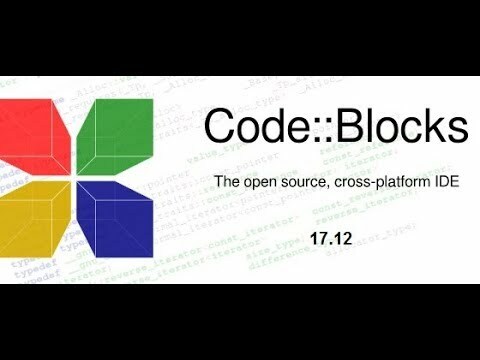 Code::Blocks is a free C, C++ and Fortran IDE built to meet the most demanding needs of its users. It is designed to be very extensible and fully configurable. Finally, an IDE with all the features you need, having a consistent look, feel and operation across platforms. It can be boost with plugins to Built around a plugin framework. Any kind of functionality can added by installing/coding a plugin. For instance, compiling and debugging functionality is already provided by plugins! Unlike other IDEs that are overly complex and require extensive time to figure out, Code::Blocks has a short learning curve. The masterminds behind the software created it with a solid user experience design that makes it easy for users to figure out all the software’s nuances on the fly. The software actually replicates the user experience design of Visual Studio, so many users will find that Code::Blocks is quite intuitive. ☛ Open Source ! – GPLv3, no hidden costs. ☛ Cross-platform – Runs on Linux, Mac, Windows (uses wxWidgets). ☛ Written in C++. No interpreted languages or proprietary libs needed..
☛ Multiple compiler support: GCC (MingW / GNU GCC), MSVC++, clang, Digital Mars, Borland C++ 5.5, and Open Watcom etc. ☛ Support for parallel builds. ☛ Debugger with full breakpoints support.